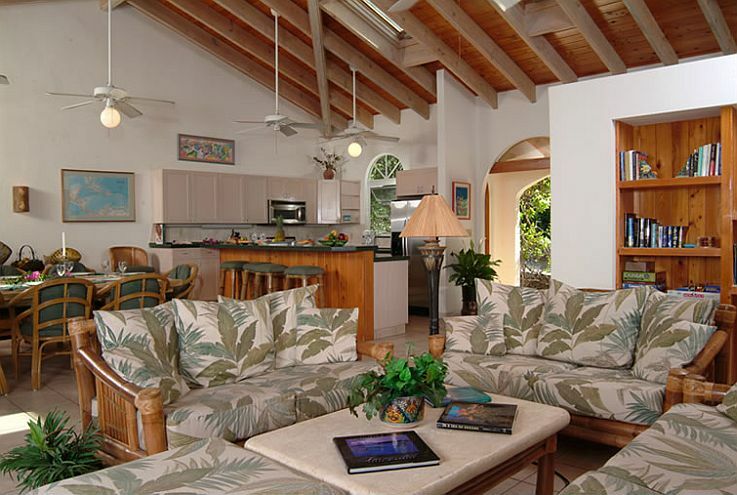 The spacious Great Room featuring native stonework, skylights, and cathedral ceiling is furnished with giant bamboo sofas and tables, tropical prints and local artwork. 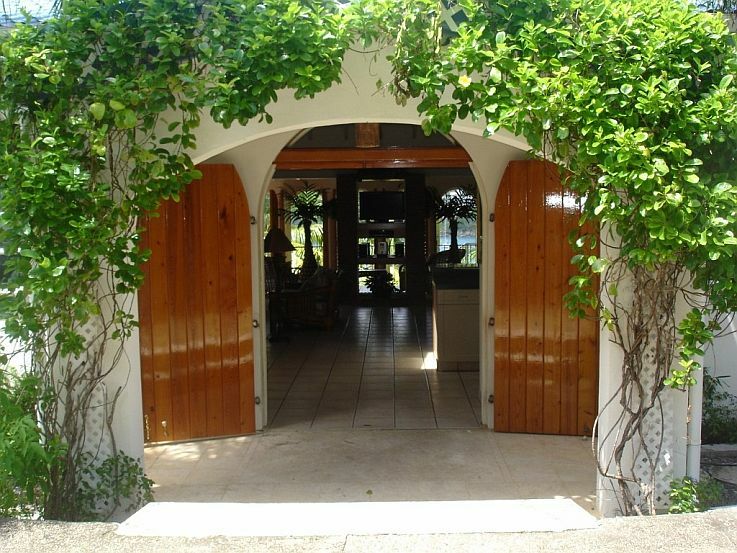 The porch area beyond has a sitting area for private reading, conversation or enjoying the view. A powder room is located off the Great Room. 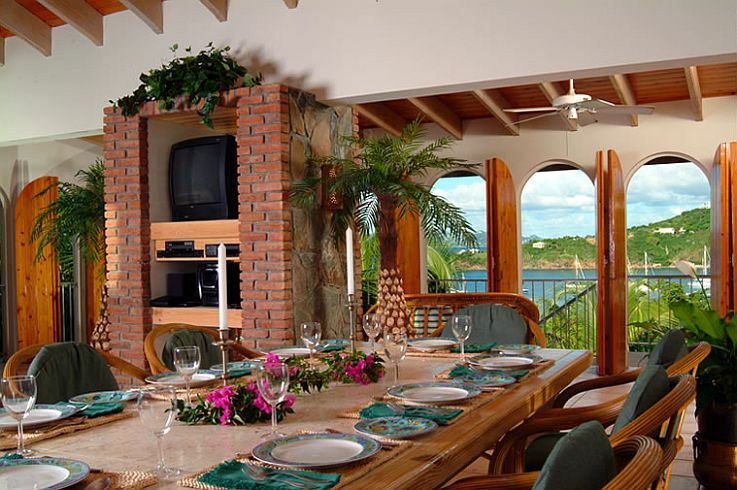 Villa Colorado offers a large dining table with accommodations for ten and an amazing view. 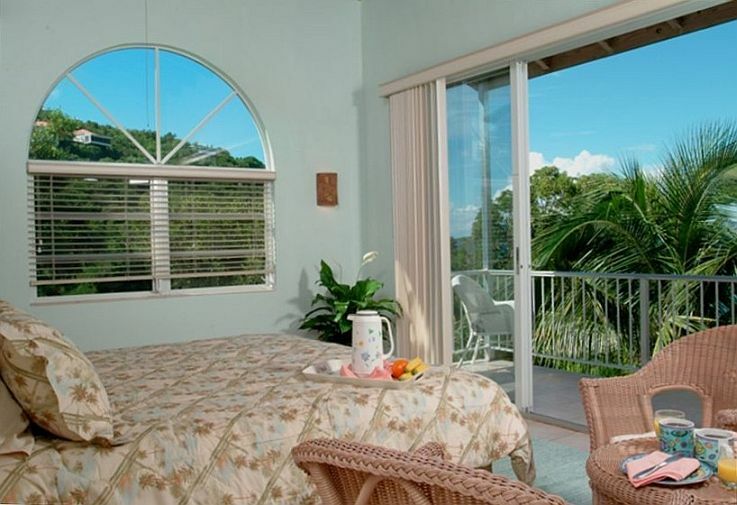 All bedrooms are air-conditioned with king beds, a separate dressing area, large baths with ocean views and glass-block showers. 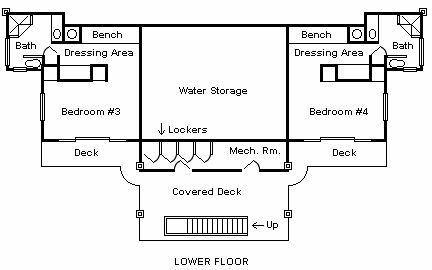 Each bedroom has its own private deck. 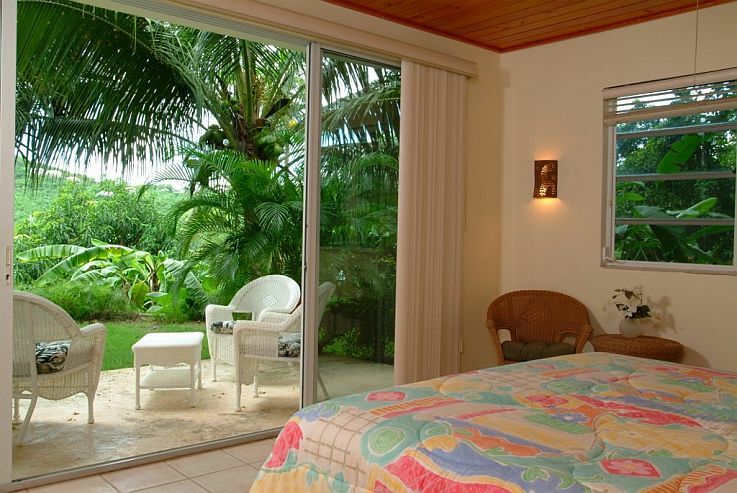 Accommodations include air-conditioned bedrooms and (WIFI) Wireless Internet Access. All linens, towels and beach towels are included along with beach chairs, coolers, umbrella and canvas beach bags for your trips to our amazing white sand beaches. 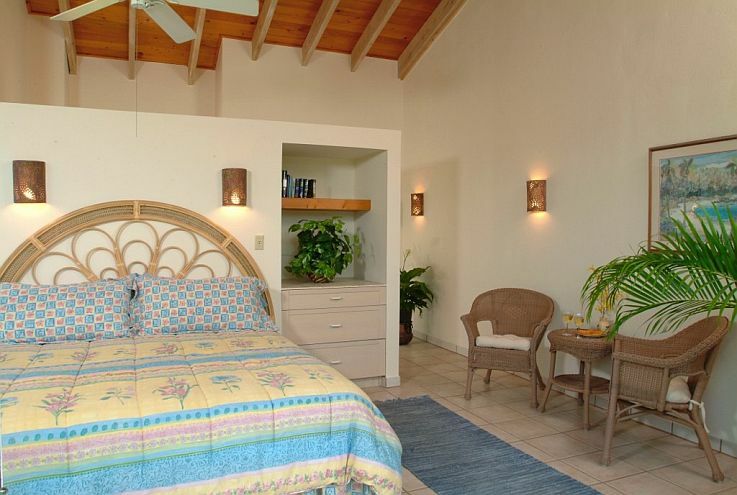 For entertainment, at Villa Colorado, you will find Cable TV, DVD player, iPod / iPhone dock, Games, and books. 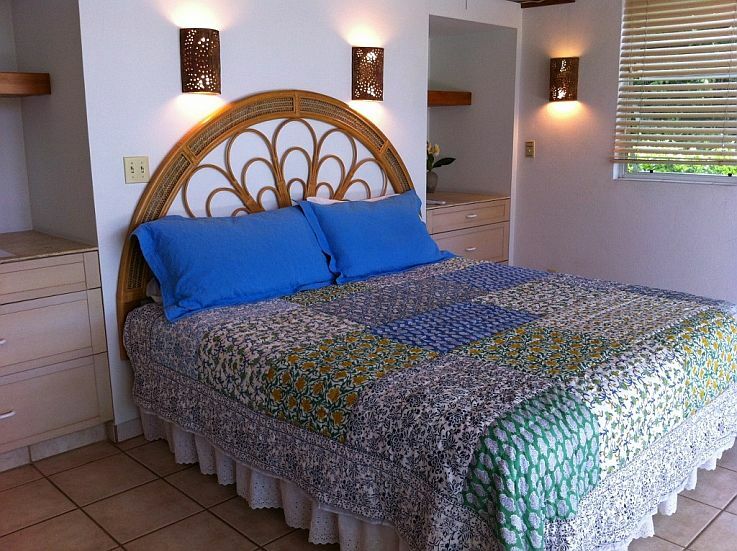 We also offer you use of the washer and dryer and you have access to an iron and ironing board. 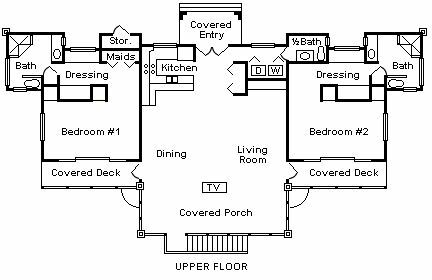 By the pool, there is a Weber grill and an additional refrigerator on lower bedroom level along with an outside shower at the entry for the foot bath. 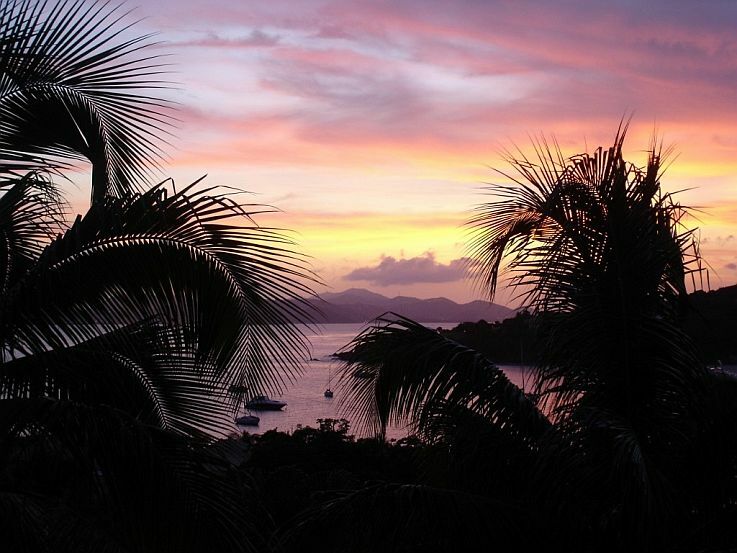 Villa Colorado one of the most popular luxury vacation rental villas on St John in the US Virgin Islands.